Tarkington ISD is pleased to announce the hiring of Athletic Director/Head Football Coach Zach Bass. Coach Bass’s service as an educator and coach, experience in lead positions and effective and positive communication style, are what set him apart as the finalist. We are extremely excited for Coach Bass to join the Longhorns as AD and Head Football coach. Coach Bass believes in all programs and that coaching is about teaching kids with a positive and nurturing environment. He has experience coaching at the High School and Middle School level. He has coached football, soccer, powerlifting, as well as track and field. We received excellent recommendations from past districts and feel fortunate to welcome a leader eager to become not only a part of our school family, but also a part of our community. Mr. Bass has served in LaPorte, Port Neche-Groves, and Port Arthur. He has most recently served in Port Arthur ISD as Offensive Coordinator, ending the year 9-2 as 5A-D1 District 9 runner up and Bi-District finalist. Mr. Bass has a Texas Teacher Certification in Social Studies for grades 8-12 and Masters certification in Educational Leadership. 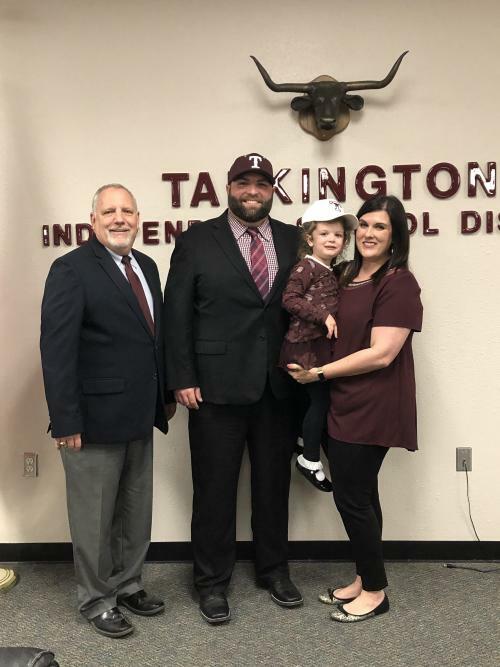 We at Tarkington ISD look forward to Mr. Zach Bass, wife Lindsey, and their young daughter Kinley joining the Longhorn family as they transition to the Prairie. You can now make a donation to the Tarkington Student Foundation via Paypal!!! Simply click on TSF Donation Page below to be directed directly to the donation page. As always, the Tarkington Student Foundation greatly appreciates your support!! The Tarkington Student Foundation is a 501(c)(3) that provides scholarships to any graduating senior that pursues post-secondary education (Junior College, University, Trade School). Students will need to fill out the application and return it to Sandy Abke in the Administration office. Applications can be found here. 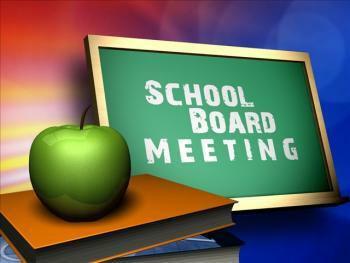 The calendar for the 2019-20 school year has been approved and posted. You can find the calendar under the Quick Links section on the left hand side of the website. Congratulations to the following football players on making the 2018 9-4A All District Football Team. Offense: 1st Team Christian Howard- Receiver 2nd Team: Micah Hare- Offensive . . . The Tarkington Ladyhorn volleyball season came to an end on Monday, November 5 with a loss to Livingston in 5 games. Although the Ladyhorns did not get to advance to the next round of playoffs, they . . . The Tarkington FFA was very successful at the 2018 TVE. Many of the students came home with buckles, banners and ribbons. Tarkington ISD is very proud of the students and their accomplishments. With . . . The THS Thundering Horns band received a Superior Rating at the marching contest held on October 20, 2018. The band will now move on to compete at the Area competion on Saturday, October 27 in . . . The Tarkington Student Foundation held its annual Round Up on Saturday, October 6 at Tarkington Middle School. Mollie Lamber, TSF President said that this was a record breaking year for the . . .
Vaping has become an alarming trend within our district. It is not only harmful to our student’s health, but devices and components are also illegal for students to possess or use at school. The consequences at school include ISS, DAEP, required 12 hour awareness course, minor in possession ticket, and loss of driver’s license. Please make sure your student makes the right choice for their health and their future. 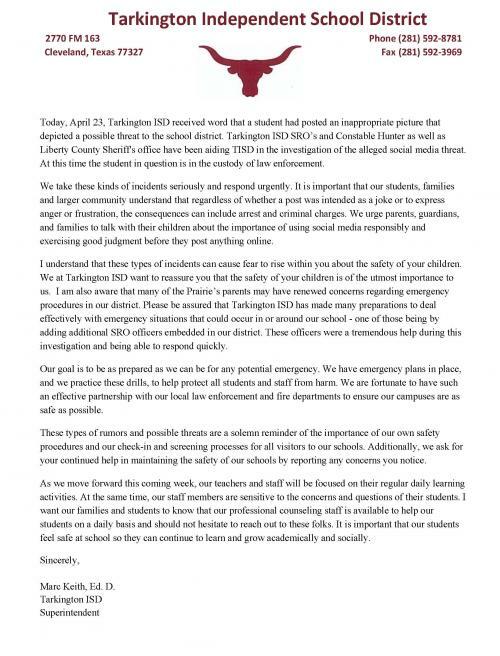 Everyone at Tarkington ISD wants what is best for every student and will continue to be diligent in this matter through education and adherence to the TISD Code of Conduct. Thank you for your support and assistance in this matter. Additional information may be found at the link below. and a sense of social responsibility. In the belief that all children should be educated to the fullest extent of their individual abilities, the Tarkington Independent School District's mission is to provide the essential academic skills and the necessary knowledge base for the student's lifelong learning. All students will be taught a core curriculum of English language arts, mathematics, science, social studies, fine arts, health, physical education, and technological literacy. All students will acquire a knowledge of citizenship and their economic responsibility, based on an appreciation of our American heritage and an understanding of the importance of its multicultural richness. • provide the student with the opportunities to acquire communication and computational skills needed for functioning in a changing society. • distribute with equity, for all students, all educational opportunities and resources. • provide the student with adequate facilities and opportunities to apply his understanding of the skills and knowledge acquired in the classroom. • provide the student with knowledge and skills for economic and occupational competence. • aid the student with acquiring attitudes and skills that will promote good personal health and physical fitness. • provide the proper atmosphere and opportunity in which the student can demonstrate an ability to participate in the American social and governmental process. • help the student attain a knowledge, and an awareness and concern for important environmental and conservation factors. • help the student develop and use problem solving, creative and critical thinking, and reasoning skills.